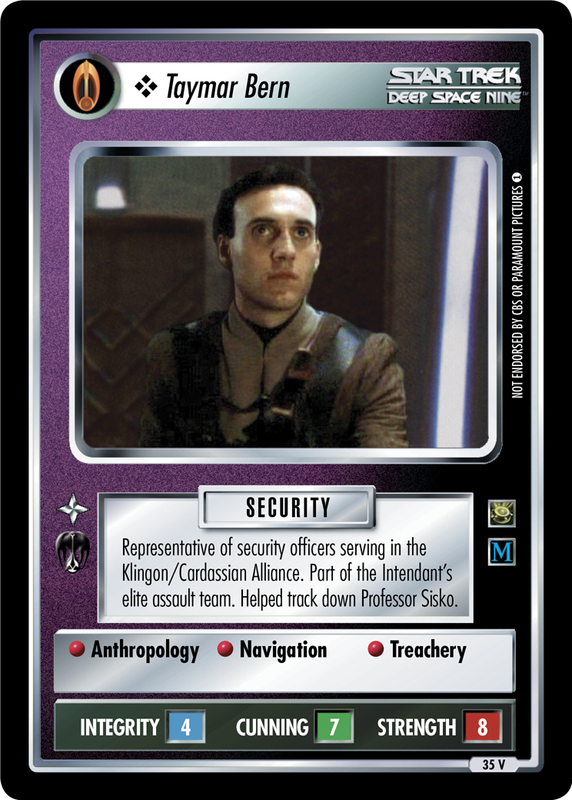 Representative of security officers serving in the Klingon/Cardassian Alliance. Part of the Intendant's elite assault team. Helped track down Professor Sisko.